Optus chief executive Paul O’Sullivan has requested the nation’s competition regular intervene in the proposed $1.9 billion merger of pay TV giants Austar and Foxtel, repeating earlier warnings that the next battlefield for Australia’s telecommunications sector in a National Broadband Network world would be “open access” to content and applications. Foxtel and Austar revealed the merger plans last week to coincide with Austar’s annual general meeting. Foxtel — a joint venture between Telstra and Consolidated Media Holdings — said if the merger went ahead, it would create a new media titan in Australia, with over 2,500 full-time equivalent employees and anticipated revenues of $2.8 billion. 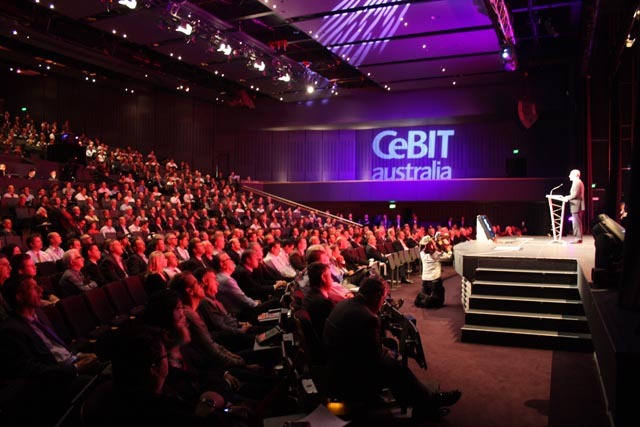 Speaking at the CeBIT trade show and conference series in Sydney this morning, O’Sullivan (pictured) said he applauded the way that Communications Minister Stephen Conroy was reforming the telecommunications sector; especially the Labor stalwart’s vision for the operational separation of Telstra and setting up the National Broadband Network Company as a wholesale-only concern. “He has been the most reformist of ministers since de-regulation,” the Optus chief said, referring to the landmark 1997 reforms pushed through by the then-Howard Government. However, O’Sullivan said, it was time for “a far more rigorous debate in Australia about how we ensure there is a level playing field in competition for applications and content”. The Optus supremo said there was “a real threat” that Australia would allow “those with deep pockets” to tie up content and applications to create new walled gardens, fuelling new content monopolies which would restrict the flow of information and entertainment. Countries like the UK, France, Italy and Spain had started looking at these areas of regulation, O’Sullivan said – and even Optus’ parent SingTel was subject to similar restrictions in its home country of Singapore. The Optus chief said as the incoming wave of fourth-generation mobile networks was constructed (using the long-term evolution standard which Optus rival Telstra has already started deploying), that network investment needed to be supported with a corresponding “investment in regulation”. “We are particularly concerned that the proposed merger of Foxtel and Austar will create a competitive barrier to block open access to content,” he said, stating that the Australian Competition and Consumer Commission must mandate “content-sharing provisions” which would cover news and entertainment content, as well as other forms such as sport and applications. It’s not the first time O’Sullivan has warned publicly of the dangers of ignoring content and applications regulation. In early March this year, the executive warned device manufacturers like Apple were “trying to create closed ecosystems”, or extending their domain out beyond the initial applications which they had become famous for. Google’s Voice application, which is not yet available in Australia but is acting as an intermediary for mobile telcos in the US, was one example, he said. In addition, at that stage O’Sullivan claimed that companies like Google and eBay had achieved a “winner take all” dominance over the internet. The Optus chief’s comments go some way to echoing concerns raised by his counterpart at Telstra, David Thodey, who last year criticised Apple for what he described as its “quite contained” iPhone ecosystem and “walled garden” approach. In comparison with Apple’s ecosystem, Thodey said Google was more open, although it still had some way to go. “I won’t say Google is open – I would wash my mouth out if I said it was open – but it’s more open than an Apple world,” he said. Perhaps Optus should have tried to square a way a deal with Austar, like Foxtel & Telstra… but because they were not connected to Telstra, Optus didn’t care. Now that all of Austar’s customers are potential new customers for Telstra, low and behold instant interest from Optus. I’m sorry, but as an Austar customer, due to living in a “remote” area that Foxtel weren’t willing to service, I for one welcome the deal. They are essentially two separate entities providing the same service to different areas, not sure how the ACCC can find this anti-competitive since there are no other providers of the service. Surely if this were truly anti-competitive Seven, Nine and Ten would be whining like newborns? I don’t get how the success of Apple, Google and eBay affect Optus, nor how its related to a merger between two geographically isolated, read not in competition, entities like Foxtel and AusStar. Folks here we see a continuation of the tricky, devious and disingenuous tactics of those who oppose Telstra and hope, by sly actions to gain advantage for themselves. Let us hope that Senator Conroy and the ACCC will see through these manouvres that have been going on for years (quite successfully) for the perpetrators, but are now no longer possible with the NBN build. You are aware that both Austar and Foxtel satellite customers have their services provided by an Optus satellite right? ie. It is separate to the NBN. Sounds like ‘coopetition’ in action.